The New Year starts with a bang in New York City at Retail’s big show NRF on January 14-16 in New York City. This three-day conference brings together the industry to unveil and revel in the latest trends and most innovative technology in the industry. More than 35,000 people will be in attendance, including PixelMEDIA’s CTO, Thomas Obrey. As a Salesforce Premier Solutions Partner, Pixel supports the efforts of the NRF Partner Ohana Experience. We proudly display our name alongside our peers on the Salesforce NRF Bags commemorating this movement. The Ohana Experience aligns Salesforce and PixelMEDIA’s company values of trust, customer success, innovation, giving back, equality for all, wellness, transparency, and fun. Get to know Salesforce on Tuesday, January 16th at 11:30–12:30 p.m. in TT2 as they pave the way to blaze new trails for success in 2018, or find the fastest path to shopper success at their booth #4103. 2018 is off to a great start as we continue to launch, manage, and grow ecommerce for lifestyle brands. We wish the best of luck to our partners who are attending NRF. If you are interested in speaking with Thomas Obrey, please contact us directly to set up a time to discuss how we can help your ecommerce business. 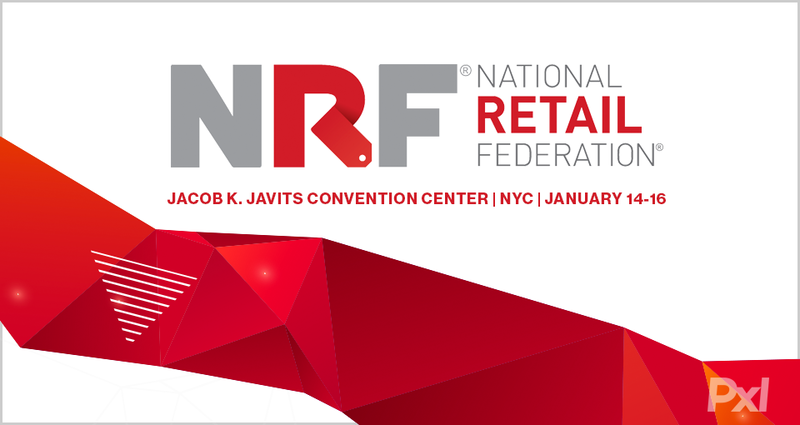 If you are planning to attend NRF, let us know by filling out the form below and let’s grab a coffee.